NHL branded wooden dexterity game for 2 players, ages 5 and up. Rink sidelines include all NHL team logos. 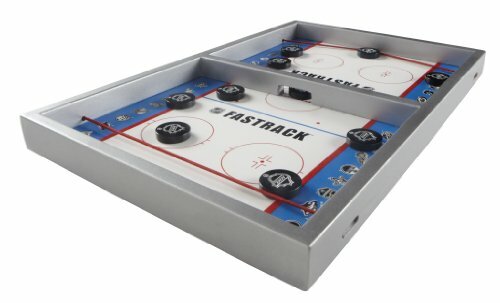 Use your finger to power the pucks and send all 10 to your opponent's side of the rink. Develops hand-eye coordination and fine motor skills.